Michael Feely, DO, is an anatomic and clinical board-certified pathologist who focuses on gastrointestinal/liver and genitourinary pathology. 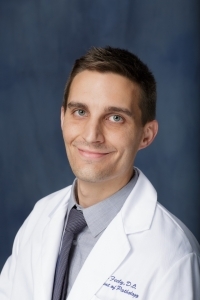 While he officially joined the faculty at University of Florida Department of Pathology, Immunology and Laboratory Medicine in 2016, he was no stranger to this institution, having completed his anatomic and clinical pathology residency, as well as fellowship training in gastrointestinal and liver pathology at UF. Prior to his residency, Dr. Feely received his medical degree from Nova Southeastern College of Osteopathic Medicine in Fort Lauderdale, Florida.